Most people pay very little attention to their eyes until they experience eye fatigue and other vision problems. Eye fatigue occurs when the eyes get tired from intense use, which is most common among people who stare at their computer or smartphone for long stretches of time. Eye strain, however, may also be a symptom of an underlying eye condition. iSee Vision Care, a specialist in double vision, discusses what causes eye fatigue in today’s post. The most common causes of eye fatigue are reading, writing and driving. Your eyes may also get tired if you stare at a computer screen, game console or smartphone for extended periods of time. This eye fatigue may be the result of what’s known as computer vision syndrome, or digital eye strain. This eye problem alone is responsible for 10 million eye doctor visits a year. The numbers, however, are expected to grow as the number of people dependent on their handheld digital devices continues to increase. Note that a person tends to blink less often when looking at digital screens, which is linked to eye fatigue. Normally, people should blink 18 times a minute to refresh the eye. Recent studies, however, show that a person blinks about half as often when looking at a computer. What are the symptoms of eye fatigue? Sore, tired and itchy eyes are the hallmark signs of eye strain. You may also experience dry, watery eyes and increased light sensitivity. If you experience headaches and dizziness, getting in touch with an eye specialist may be necessary. Reduce the risk of eye fatigue by following a simple yet effective eye exercise. The 20-20-20 rule suggests looking at an object that’s 20 feet away for 20 seconds every 20 minutes. Eye doctors also recommend taking frequent breaks when using your computer. Adjusting computer display settings and ensuring proper lighting can also help minimize eye strain. If you experience eye strain and anxiety, get in touch with iSee Vision Care today. 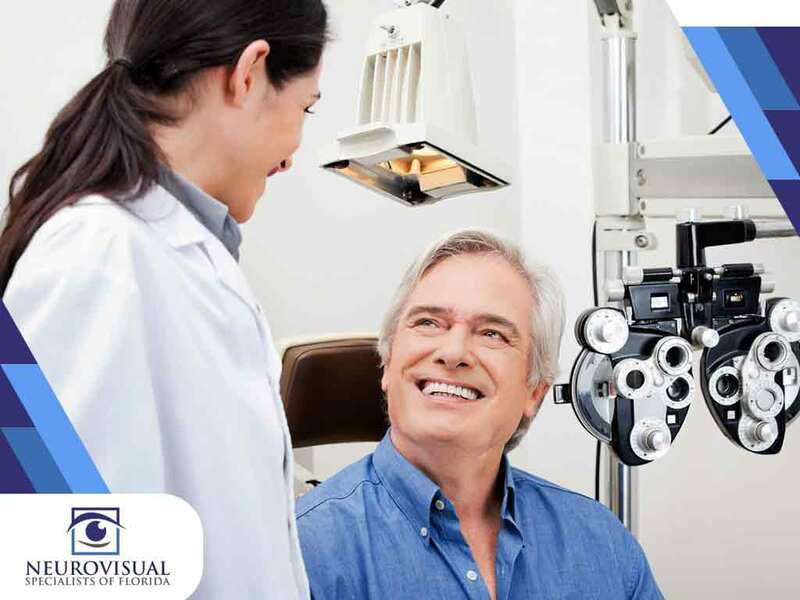 We offer a wide range of services to improve your eye health and vision. Call us today at (561) 733-9008 or fill out our online form to schedule an appointment.